60 Boutique Hotels… in 31 Cities. Kimpton Hotels are so pet friendly they actually have Kimpton Directors of Pet Relations. They love their pets, and our ! We love Kimpton Hotels and their pet-friendly policy and the fact that some of Kimpton’s most popular employees greet their guest with wagging tails. Abigail and I had the pleasure of staying with Kimpton, many times, in many different cities and we loved it each and every time. She just loves their nightly wine hours in the lobby, and I love the coffee in the mornings and the yummy hot chocolate and hot apple cider they serve on wintery afternoons. At every Kimpton boutique hotel, we invite you to bring your furry, feathery or scaly family member — no matter their size, weight, or breed, all at no extra charge. At every Kimpton boutique hotel we stayed at, everyone, including their Directors of Pet Relations, and their other hotel guest, were so friendly and total pet lovers. Kimpton is one of the very few hotels that invites us- pet parents, to bring along our four legged fur babies. In fact, they don’t only invite us, they welcome us with open arms and really do treat our PupSize dogs like members of our family- yup, there is no extra pet charge. I mean, I’ve never heard of any hotel charging parents an extra baby charge and Kimpton doesn’t charge any type of extra pet charge either- no matter their size, weight, or breed of our fur baby. 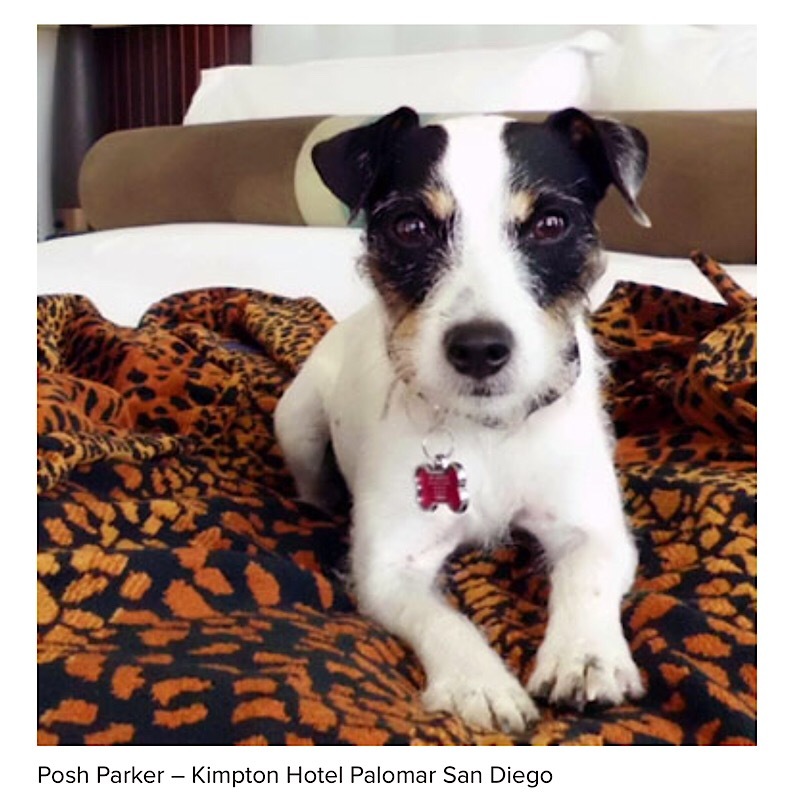 Kimpton also offers selection of hotel amenities and extras including plush pet-bed loaners in their guest rooms, like food, water bowls and mats. Some properties offer Gourmet dog cookies, Clean-up bags, Dog-walking services and Dog-sitter services. •A concierge list of nearby pet-friendly restaurants, parks, groomers and pet boutiques. •Door hangers alert other hotel guests and staff that your cat, dog, or other beloved pet is in the room. •Courtesy bags for walking your dog. •Nightly complimentary wine reception — pets are welcome to join the party! We really can’t say enough about how much we absolutely love Kimpton Boutique Hotels. We applaud them for their hospetaility and their hospawtaility. Check out their Instagram page and you can see the for yourself. When you and your fur baby are planning your next shopping vacation, start with finding a Kimpton location, it will make planning and taking your next trip much less stressful and so much more enjoyable. Thank you Kimpton for being so amazing.